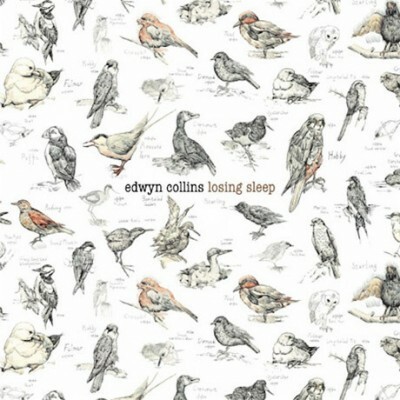 Thirty years into his career, Edwyn Collins continues to demonstrate why he is so highly regarded. In the late 1970s as the Nu-Sonics evolved into Orange Juice, and that band spoke of mixing the sounds of the Velvet Underground and Chic, there were those who jeered (presumably those who had heled onto their Genesis and ELP albums). But here he is, continuing to do what he does best, write, sing and perform. It’s not so much the mixing of the Velvets and Chic I hear within here , but -and I mean this most warmly as a compliment -the mixing of the craft of the best sixties and seventies soul (think Gaye, Mayfield and Hayes) and Lou Reed. Given that Orange Juice covered Al Green’s ‘L.O.V.E. Love’ and he joined forces with Paul Quinn to cover the Velvets’ ‘Pale Blue EyesHis voice is gorgeously distinctive -my wife immediately recognised who it was. The opening title track has the feel of the best soul you’ve ever heard and then makes way for the Lou Reed-type menace of ‘What Is My Role?, a track co-written with Ryan Jarman of The Cribs. ‘There’s not a dud track on here, and the record finishes with ‘Searching for the truth,’ enforcing that there are twelve new worthy editions to the Collins catalogue. With songwriting collaborations also coming from the likes of members of Franz Ferdinand, The Drums, Johnny Marr and Roddy Frame, there’s a sense of a master receieving the recognisition from both contemporaries and those who are deeply indebted to him. It’s time to stop mentioning that hit and that event, and to recognise Collisn for what he is: one of Britain’s top singer-songwriters who continues at the top of his game. Losing Sleep is out now on Heavenly. …and more from the French Wives! 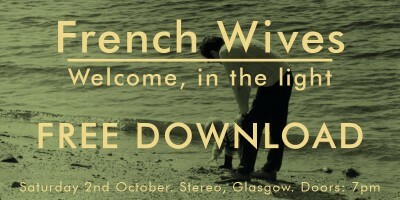 I’ve blogged before about how much I like the French Wives. Having released two fantastic singles already ‘Me Vs Me’ and ‘Hallowe’en’/’Dogfight’ the band have made a free to download single available, to coincide with their imminent tour. This is entitled ‘Welcome, in the light’ and you can download it by going to their myspace. The forthcoming tour sees them play not only Glasgow, Aberdeen, Edinburgh and Dundee – but both English towns like Sheffield, London and Newcastle, but also places like Aviemore, Wick and Bathgate. Check their myspace for more details. Chemikal Underground remain possibly Scotland’s coolest ever record label, and fifteen years on, they show no signs of stopping anytime soon. Not content to have signed the mighty Found, they have also signed the rather ace Panico. 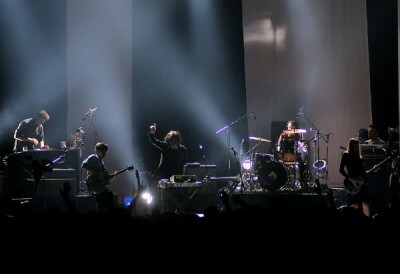 Panico are based in France – but the band -Eduardo (lead vocals),Carolina (bass, backing vocal), Memo (Lead guitar), Seba and Squatt (drums, turntables) – actually hail from Santiago, Chile. Thy’re just about to release their first album on Chemikal, the awesome Kick, which has been on the stereo here at 17 Seconds towers a fair bit over the last wee while. It was recorded at Govan Town Hall by Paul Savage (Scots producer extraordinaire, co-founder of The Delgados, Chemikal itself and Mr. Emma Pollock) last year. Here it is…the Last Battle debut! Some bands spend the first year of their existence barely making it out of the rehearsal room. The Last Battle are not just any band. 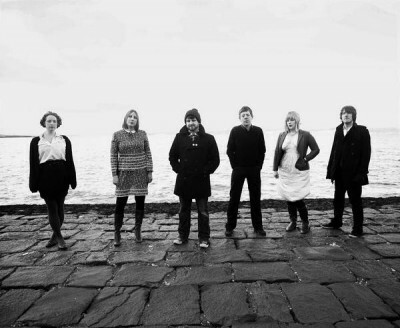 Monday will see the release of their long-awaited debut album Heart Of The land, Soul Of The Sea. The significance of October 4 is that it marks a year to the day since they played their debut gig at The Pond, in Leith. Since then, they’ve played with an impressive list of artists, that many bands trying to break through here in Scotland would give their eye teeth to play on a bill with just one or two. Names that include – but are no means exclusive to – Withered Hand, Burnt Island, eagleowl, Found, Meursault, Unwinding Hours, Yahweh, Kid Canaveral, Endor, Chris Bradley, Dirty Cuts and Esperi. And they’re due to add the Scottish Enlightenment to that list very soon, too. I first heard them courtesy of Matthew Young of Song, By Toad who featured them on his radio show on Fresh Air (go here to download the session and watch the videos. Within a brief period after this, Dan Willson of Withered Hand passed them my email and Scott Longmuir, the band’s singer, got in touch to ask if there might be a place at May’s Tigerfest for them. There most definitely was. And seeing as no-one was scheduled to put out the band’s debut album, I asked if I might do so. They said yes. So…they’ve recorded sessions for Celtic Music Radio and Leith FM twice and for my show during the summer on Fresh Air. And now, today, the album has turned up in physical format. We had the album launch on September 18, and it was fab, and it features contributions from both Neil Pennycook of Meursault and Bart Owl of eagleowl. We’ve had some great reviews in so far…Is this music? awarded it five stars, [sic], magazine commented that the band ‘deserve the fruits of victory’, while Lloyd over at Peenko described it as one of his favourite albums of 2010, Last Year’s Girl commented that she was finding it hard to reveiw to the album because she kept going back to listen to tracks again, and this very day the Tidal Wave of Indifference have mad it their album of the week. Hopefully there’ll be more to add to very, very soon. You’ll be able to buy it from Monday on download services, and via the band’s website and ours. If you live in Edinburgh, you can now buy it from Avalanche Records on Cockburn St. I don’t review the records I put out, but I am so very, very proud to have been involved in this release. Thanks to everyone who’s come along to the gigs, bought the music or blogged about them. Having given Matthew Young, owner of Song, By Toad Records, a few sleepless nights -given that this album was supposed to be ready two years ago,Inspector Tapehead finally unleash their debut album on the world. Several listens in to this fine album, I have given up trying to find a category for it, because it just seems like a lame attempt to pigeonhole something to try and pin it down. And because every time I listen to it, I find something new I haven’t picked up on before. There’s definitely a freshness no matter how many times you hear it. And whilst I clutch at straws, I genuinely think it will appeal to people who like label-mates Meursault. Though having said that, it doesn’t really sound much like Meursault at all.Think a garage rock meets a straight country band, only who sound as scottish as, but without particularly scottish accents. ‘I Am Your Pedigree’ is an awesome love song -of sorts -complete with ‘OMGWTF did he really just sing that‘ moment. It appears to have more going on its’ less than four minutes than some people manage in an entire career. Without becoming unbearably complex or too clever for its’ own good. As the album draws to a close, and I know I will be playing it again, very soon, I reflect on two things: Firstly, it may have been a long time in the making, but the end justifies the means. And secondly, coming just a few months after the Meursault album -to say nothing of Trips and Falls, Maxwell Panther and Cold Seeds, Song By Toad Records are flying very high indeed. 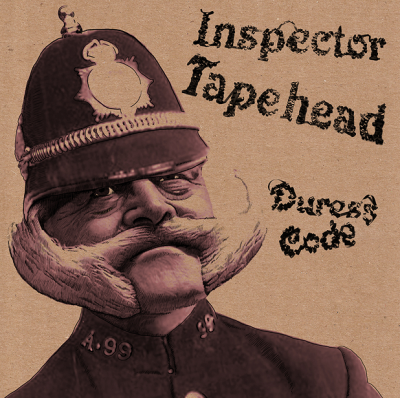 Duress Code is out now on Song, By Toad Records. The album launch takes place at the Wee Red Bar, Edinburgh College of Art this Thursday. Before that, they play an instore at Avalanche Records, Cockburn St at 5PM. 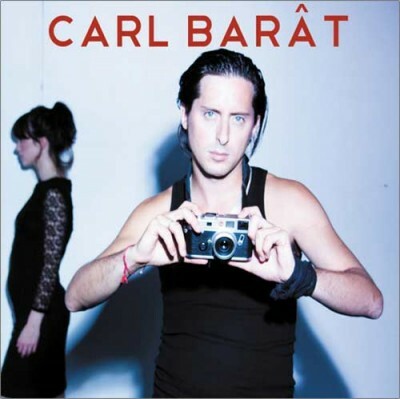 Having been part of both the Libertines and the Dirty Perry Things in the last decade, and seen sights that would no doubt make many people’s eyespop out of their sockets, Carl Barât is now striking out as a solo artist, and writer. He will release his eponymous debut solo album on 4th October via his own imprint Arcady Records (issued through PIAS). The first single ‘Run With The Boys’ will be released the same day. I’m enjoying this video, which seems like a film that oughta have Michael Caine in it, and feels like it should have been scripted by Martin Amis. That’s meant as a compliment, by the way. Not only that but he has written his first book ‘Threepenny Memoir’ published by Harper Collins on 30th September, which details his time in The Libertines. It was long been one of my Achilles Heels that i try and give people the benefit of the doubt. 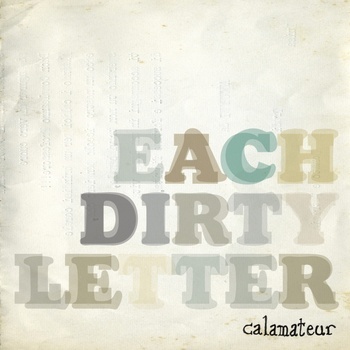 Extending this to giving this latest album by Calamateur a second listen has shown me why this is a weakness, not a strength. Two tracks in – ‘Change this world’ and ‘Banoffee’ – the album feels perfectly pleasant, but the nagging thought remains that there really isn’t much substance, though the third track has a female vocal on it which adds some (by now much-needed) variety. By the fourth track, boredom really is setting in. By now, scratching around for something to say, I note that the melodies are ‘nice enough’ but this is done by so many singer-songwriters of both sexes. It’s AOR that’s bordering on MOR. The seventh track sees this album grating on my nerves and the attempt to rock out -briefly- is not very convincing. The nagging thought occurs that this is taking up valuable space on my iPod which has not yet got the latest Vaselines LP on it. Hell, if the songs you hear on commercial radio are anything to go by, there is more variety on the average album by any boy band. Having reached the end of the album I feel that this is inexcusably bland and its’ very inoffensiveness is highly offensive. My ears feel assaulted. There really is no excuse for this waste of an album. Just go away. 1/2 -and that’s being generous. Each Dirty Letter is out now. Over breakfast this morning, with Mrs. 17 Seconds, brother 17 Seconds and sister-in-law 17 Seconds, sister-in-law 17 Seconds confessed to liking what little she had heard of Kate Bush -including ‘Wuthering Heights’ but not knowing much of her stuff. Personally speaking, I’ve been smitten with the music of Kate Bush since I was eleven, and the Chart Show showed the videos of ‘Babooshka’ ‘Running Up That Hill’ and ‘The Big Sky.’ There are -apparently -some people out there who don’t rate her, but they’re probably Tory voters who drink Stella at Wetherspoons pubs, and they’re idiots anyway. First up, ‘Cloudbusting’ from 1985’s The Hounds Of Love. This Donald Sutherland-starring video has to be my favourite video of all time. Honest to blog. This song ‘Hammer Horror’ was a single in 1978, the first to be taken from the Lionheart album. It’s still one of my all-time favourite songs, period. After a handful of awesome singles and an appearance on Rough Trade’s much-heralded latest indie-pop release, the Bethany Cosentino-led band unleash their debut LP. And – generally speaking -it’s really rather good. Opening with ‘Boyfriend’ this LP contains song after song of indiepop that owes as much to various strands of classic sixties California as it does to Blondie and Sonic Youth. It’s indiepop minus the twee and definitely with a harder coating. 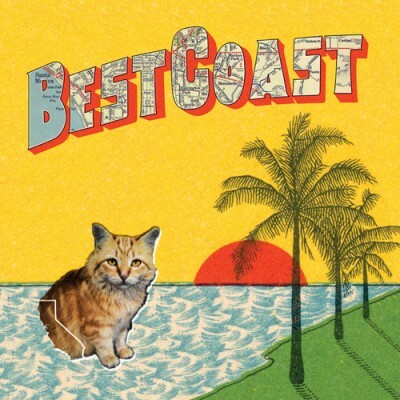 Tracks like ‘Honey’ are dreamy but at the same time have a hint of darkness, and it’s this that sets Best Coast apart from many of the bands that they get bracketed with. Over the course of the entire album, you occasionally wish that they would vary the pace and palette a little bit, but all in all it’s a good, strong album, and a more than promising debut. If you enjoy this, make sure you check out the early singles and EPs, too. Crazy For You is out now on Wichita. 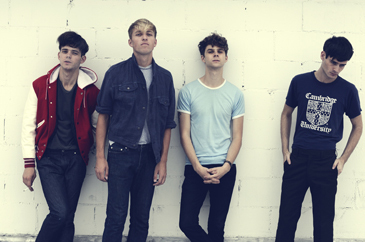 I’m still loving the Drums’ debut and last year’s Summertime! EP. And it seems like hardly a week has gone by without yet another email with an exclusive cover or remix. Sure, there’ll be those who grumble that they’ve heard it all before. But, dammit, this album is just so much fun.